What’s better than a road trip with a good buddy? Some people may have thought: boyfriend. Some of you thought, no way, I like to travel with my dog. But girlfriend, boyfriend, husband, dog, or your current stud muffin…… a good road trip friend is a great friend indeed. Just think what you find out about this—ahem—person: the music she likes on the road, favorite snack foods, if he has a wandering spirit or if he goes straight to the destination. Can he read a map? Does she know the value of a cup of bad coffee and funky cookies at the rest stops? Can he handle a gas pump and get those yucky yellow squishers off the windshield? Can she harmonize to Jackson Browne’s Runnin’ on Empty? (Okay. That’s for extra points.) What have I forgotten? Tons, I’m sure. Last fall, my friend Susan and I went for a week to La Conner, Washington, a trip of about 250 miles from Portland, where we both live. I wish I could say it was purely for fun, but the fact was we had so much fun that next time we won’t need an excuse. No, Susan and I went to look in on my aunt who had suffered life- shattering losses within two years’ time: the deaths of her husband and her daughter, Jenny. It is such unimaginable loss that she has needed lots of support. And in that magical way these things work, I needed some support of my own. In stepped Susan to fill a pretty big void. I had not even thought someone would be ready and able to make such a trip with me, but Susan was. As a road trip buddy, she is an A+. Have you noticed as we grow older how much we rely on our friends? Frankly, I don’t know what I would do without my friends. I am grateful for them every single day. It’s possible that we don’t even know yet how the depth and kindness of our friends help make life worth living, but as the years go by, I believe it will become clearer and clearer. 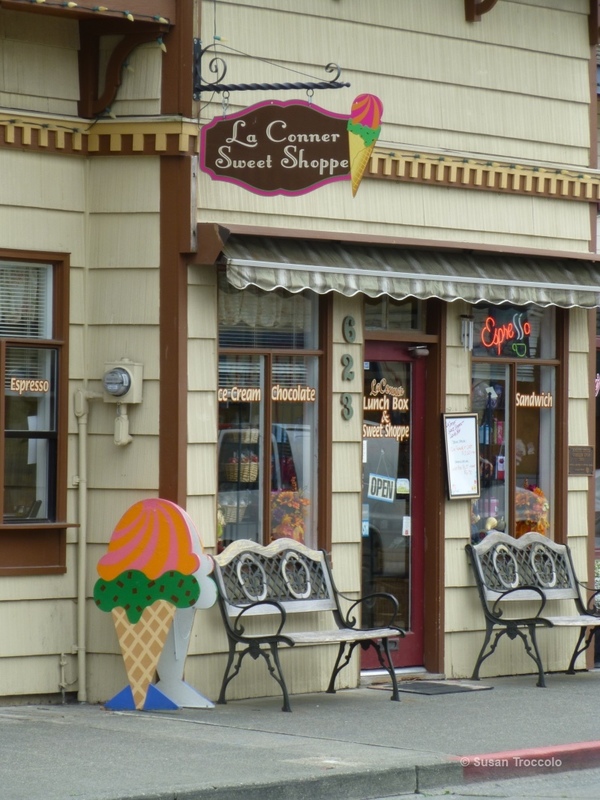 La Conner is a charming small town that has retained all its charming small-townness. 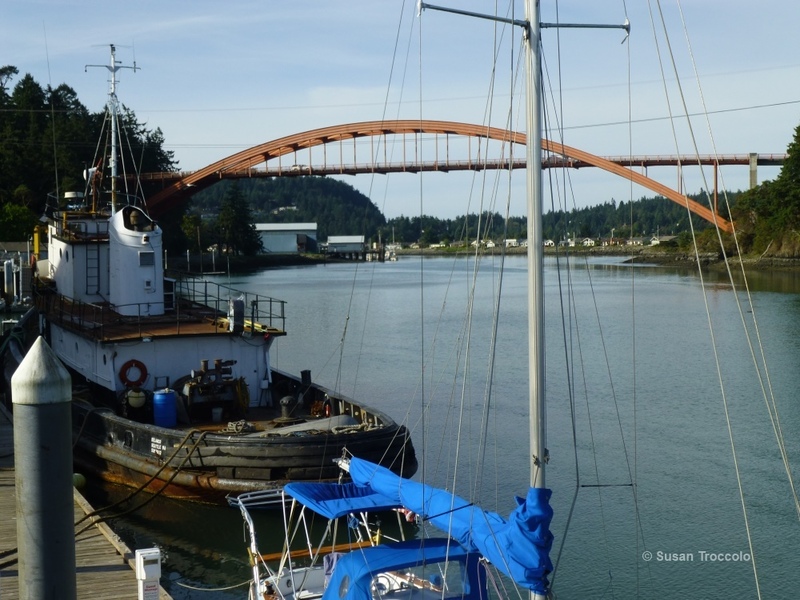 You’ll see the famous Rainbow Bridge that connects La Conner to Fidalgo Island, which includes the city of Anacortes, jumping off point for ferries going to Vancouver, Victoria, and parts of the San Juan Islands. The Swinomish reservation is there and the center of town is a historic district, listed on the National Register of Historic Places. 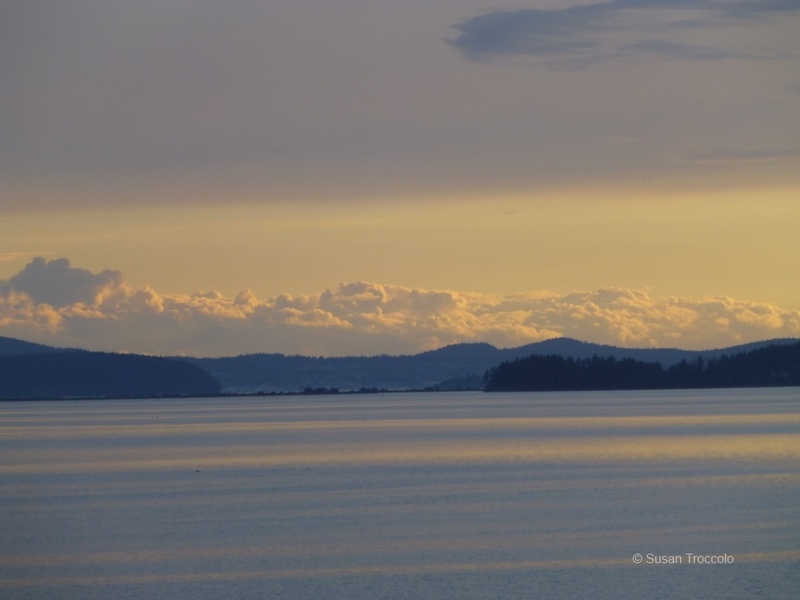 The San Juan Islands contain some of the most magnificent scenery in our country. They make up an archipelago in the northwest corner of the contiguous United States between the US mainland and Vancouver Island, British Columbia, Canada. Four islands are accessible by passenger ferry operated by the Washington State Ferries system. April and May are great times to visit La Conner and, actually, the entire Skagit Valley, because the annual tulip festival is in all its colorful glory. My aunt describes the show as “rainbows on the ground.” Short of hopping on an international flight to Keukenhof Gardens in Holland, you can’t find a more exquisite display of acres and acres of tulips. Just be sure to book your accommodation early—the sooner the better. 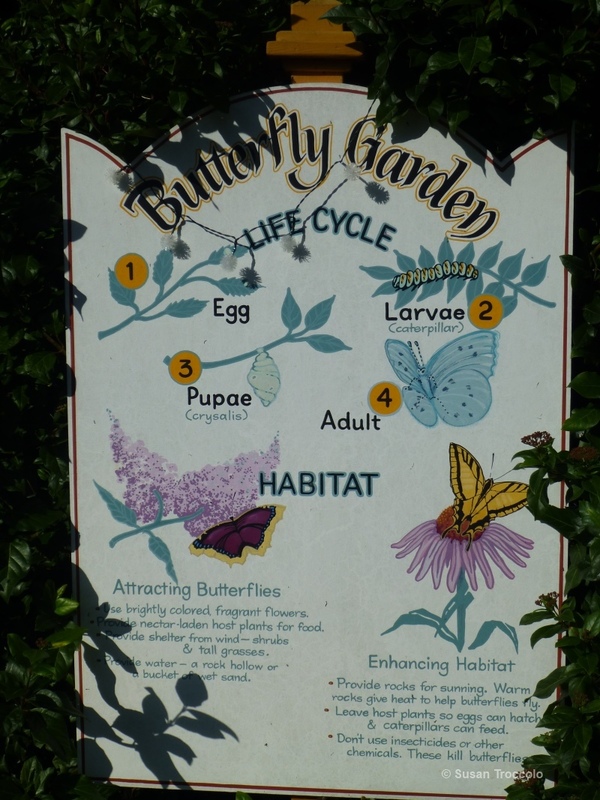 And, for you gardeners, you may enjoy the small but lovely Butterfly Garden in the historic part of La Conner. I loved seeing the LifeCycle of the Butterfly at the entrance. As we left La Conner, we drove slowly through the Skagit Valley, stopping to sample farmers’ markets and flower stands all along the road. Mount Rainier was glorious in the sunshine. Susan bought spot shrimp at a price she can never find in Portland. And then we yakked all the way home. What a great trip, full of the best life has to offer. Love and service to others, beauty, good food, and lots of laughter. What do you look for in a road trip companion? 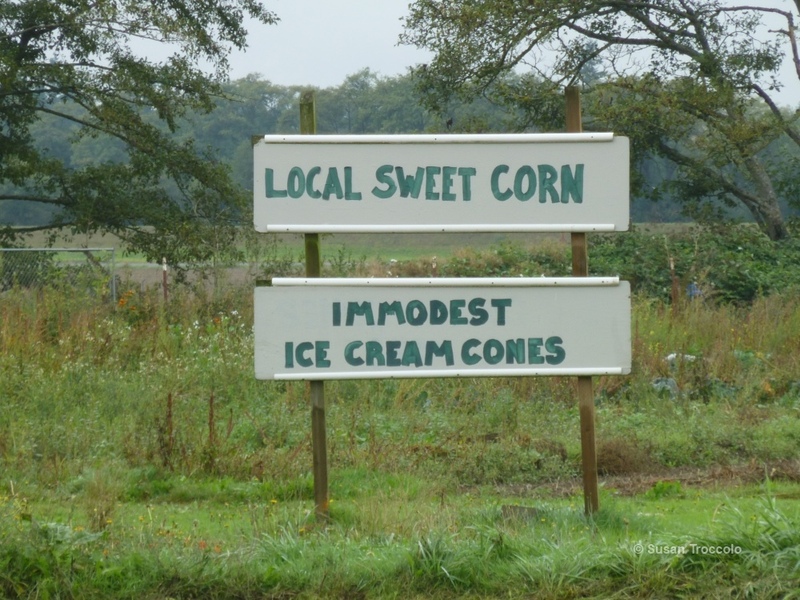 If you say someone who stops for immodest ice-cream cones, I’ll completely understand.